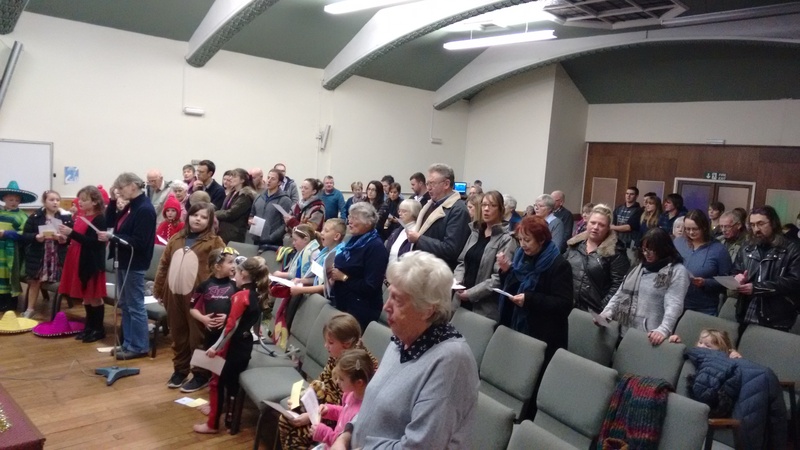 Here are a couple of pictures fromn the 6-10 Christmas Presentation. The presentation was based on the theme of Christmas around the world. All the children did well and the narrators and singers all spoke and sang very well too! Many parents attended, as you can see fropm the second picture. 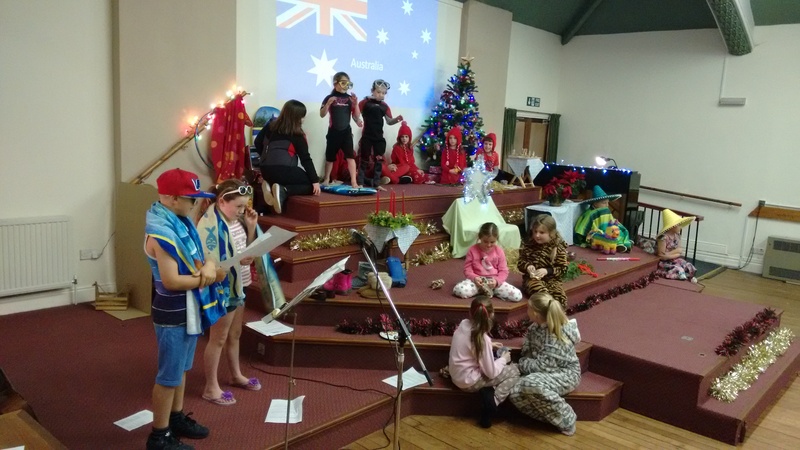 The Australian Christmas; complete with surfers and a "barbie"
Parents and invited guests enjoy the presentation.